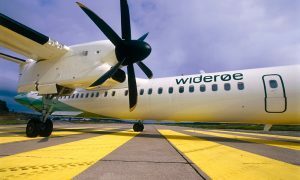 Eastern Airways has signed a new codeshare agreement with Wideroe which will provide UK travellers greater Norwegian connections via Aberdeen and Newcastle, along with improved access to the Norwegian carrier’s comprehensive network of Scandinavian destinations. 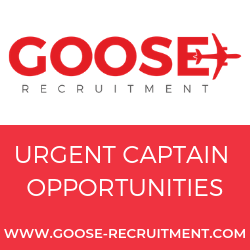 As part of the codeshare partnership, Eastern Airways “T3” flight code will continue to be placed on services between Aberdeen and Stavanger and Newcastle and Stavanger. It will also be added to Aberdeen – Bergen services, which are bookable on Eastern Airways website and via travel agents from today. This codeshare partnership and ticketing agreement will enable Eastern Airways to offer UK connections on its services from Cardiff, Durham Tees Valley, East Midlands, Humberside, Leeds Bradford, Norwich, Southampton, Stornoway and Wick John O’Groats to Stavanger and Bergen via Aberdeen. 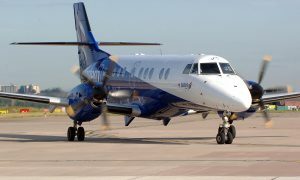 Eastern Airways is the UK’s leading provider of fixed wing air services for the oil and gas industry, offering more flights from Aberdeen than any other carrier. It was also recently named Europe’s number one regional airline after receiving the Airline of the Year Gold award from the European Regions Airline Association (ERA).